The perk and curse of grocery shopping in the U.S. is there is always a new product to try. It is a seemingly revolving door of new product barrages introductions! It didn’t phase me much until I lived in Europe. Being back now and grocery shopping in the U.S. feels like I’ve been dropped into the middle of a carnival funhouse with a bunch of clowns jumping out every three seconds to show me the latest and greatest product. Then the funhouse mirrors show me what my hips will look like if I eat that product. Unfortunately, it’s never the mirror that shows me getting taller and skinnier. However, there is one new product I have been eager to try. Not the firecracker Oreos. I gave those a pass. It was the Banza pasta. It is pasta made from chickpeas. CHICKPEAS! It is supposed to be much higher in protein and fiber than regular pasta. I was curious to see if chickpeas could be turned into pasta successfully. I was super curious to see if my family would notice the difference between chickpea pasta and regular pasta. Usually I’m trying to disguise the healthy stuff. This time I’d be putting it out there in the open for all their picky tastebuds to try! 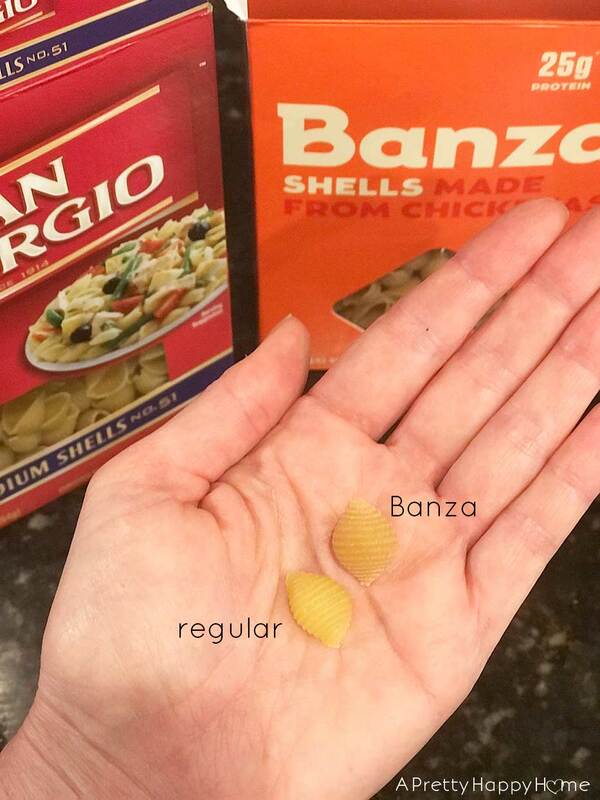 To my eye, the Banza pasta looks almost identical to regular pasta before it is cooked. Let’s get this water boiling! 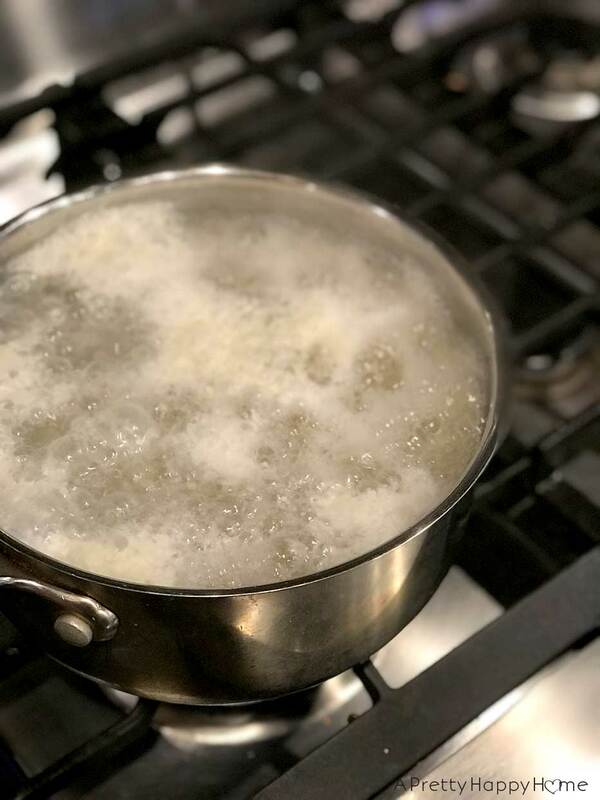 When cooking the Banza pasta, I noticed there is a sort of bubbly film that develops on top of the water. I’m trying to figure out the right way to describe it, but ‘sudsy’ just sounds wrong! I tried cooking the Banza pasta by itself and mixed with regular pasta shells. Both times that film appeared, but it doesn’t seem to impact taste or texture once you drain the pasta. 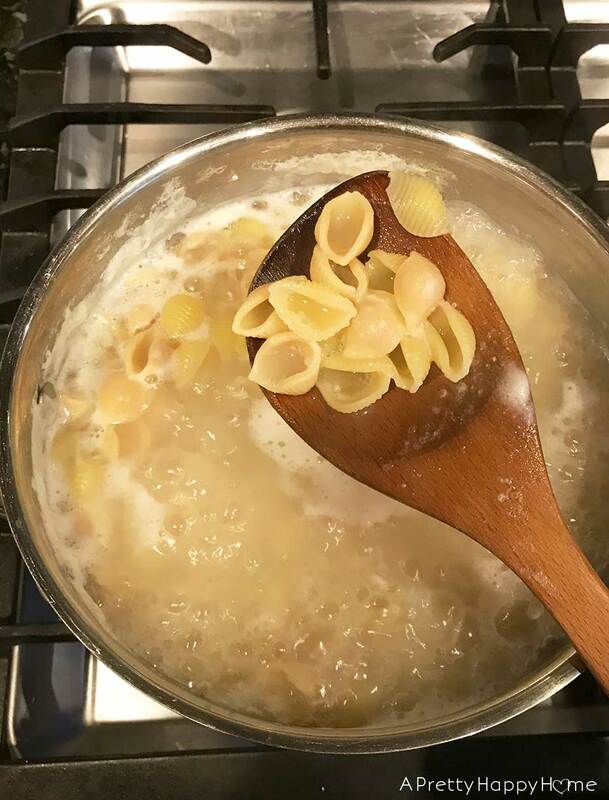 The below picture shows the two types of pasta mixed together. Only if you are really paying attention can you tell the Banza pasta apart from the regular pasta. It’s that close. Now for the true test. How did it taste and did I sneak it by my family unnoticed? The first time I made the Banza pasta it was just by itself with a tomato-based pasta sauce. I didn’t tell Handy Husband what he was eating until after the meal was complete. He was shocked. He had no clue that I had served him anything out-of-the-norm. I STILL haven’t mentioned it to the kids. They have no idea they’ve eaten the chickpea pasta twice now. I don’t see any reason to mention it and have my picky eater suddenly develop an aversion to pasta. 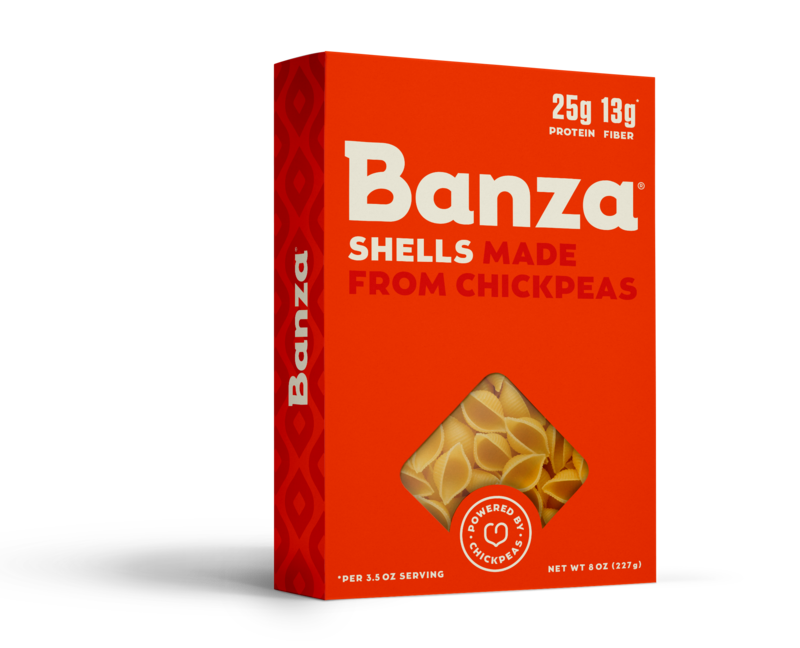 Would I make Banza pasta from chickpeas again? You know I’ve made it twice! I do have a third box sitting in my pantry right now, so yes, I’ve started to add it into my regular meal rotation. Here’s my caveat though. It’s expensive. $2.99 per 8-ounce box at my store. Considering you can sometimes buy a 16-ounce box of regular (not the whole grain) pasta for $1.00, you can see why I’m calling the Banza expensive. That’s why I mixed it with regular pasta the second time – just to stretch the meal a little farther. I’m not looking to cut carbs from our diet. This is me we are talking about! However, if I can have the look, taste AND texture of pasta with the nutritional value of something much, much better – I’m all for that. In fact, it might even be the holy grail of foods! If you can’t eat pasta because of a gluten issue, definitely try the Banza pasta. Run out right now and get yourself a box for a faux-carb fix. P.S. I’ve seen the Banza pasta range in price from $2.99/box at my regular grocery store to $5.99/box at a ‘natural’ grocery store. Amazon has a 6-pack of Banza Chickpea Pasta for $22.49 or $3.79 per box. If you check out the link, you can see some of the different types of pasta they make beyond shells. I have not tried their mac and cheese. P.P.S. To learn more about Banza pasta, here is the website. And in case you are wondering, the Banza folks have no clue who I am. I just like their stuff!